► With the use of parallel or series circuit connections of PSUs, it is possible to integrate control of all PSUs by interface RS485. In this case, one of the unit should be a master others must be slaves. ► All product line PSUs have overpower and short-circuit protection. ► It is possible to make a remote control through the use of USB, RS485, RS232, GPIB 488/КОП interfaces. Б5-101, Б5-102, Б5-103, Б5-104, Б5-105, Б5-106 are a laboratory DC power supply units, which are used for power supply of electronic or electro technical devices with specified characteristic. Any one of them supply the load with stabilized voltage, stabilized current or limited power. They can be used in the production and repair of electronic equipment of various purposes, at the scientific and experimental studies in laboratory and workshop conditions. 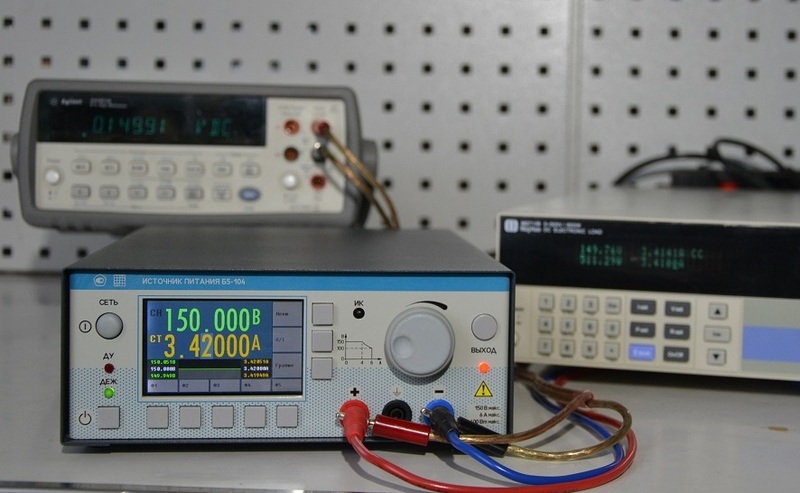 In addition, the power supply units can be used for verification of measuring instruments and equipment. *In this moment, PSUs are undergone certification. It will be additional message about market launch.